Recently, the IRS issued a notice to taxpayers reminding them that owners of heavy trucks must file the Heavy Highway Vehicle Use Tax Return by the end of August. Usually only those who own vehicles that weigh more than 55,000 pounds are required to file this return, although the amount that must be paid depends on the size of the truck in question. 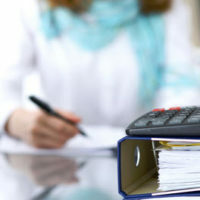 If you aren’t sure whether you qualify for this special tax or have questions about how to file the return itself, you should consider speaking with an experienced tax return preparation attorney who can advise you. The highway use tax only applies to highway motor vehicles that have a gross weight of 55,000 pounds or more, which includes not only large trucks, but also buses, and semi-trucks. However, the amount that a person will be taxed is not static, but is based on the weight of each vehicle. Most highway use tax returns can be filed through the mail, but those who own 25 or more taxable vehicles are required to file online by submitting e-file Form 2290. Whether filed online or through the mail, all highway use returns must be filed and all tax liabilities paid by August 31st for vehicles that were first used on a public highway in July. Taxpayers are also now permitted to use either a credit or debit card to pay the tax. Those without an EIN must apply for one with the IRS, which will send one around two weeks after receipt. Once this form has been filed, the taxpayer will receive a Schedule 1 form, which must then be submitted to Florida’s Department of Motor Vehicles. Those who file electronically can expect to receive their Schedule 1 form within a few minutes of submission, while those who mail in their forms will need to wait around six weeks to receive it. Using the electronic federal tax payment system. Regardless of the method used, the tax for highway use must be paid no later than August 31st for vehicles whose first use was in July. Some taxpayers may also qualify for a credit or refund of this tax if they participated in a state vehicle replacement incentive program. Taxpayers can also claim a credit for taxes that have already been paid on a vehicle that was stolen, sold, destroyed, or was used for 5,000 miles or less. To speak with experienced Florida tax return preparation attorney Ronald Cutler, P.A. about whether you need to pay the Heavy Highway Vehicle Use Tax Return please call 386-490-9949 today or send us an online message.